General Statement - We believe that attendance and punctuality are vital for every student in the Willard School system. 1. Good attendance and punctuality allow every student the opportunity for a good quality education. 2. Good attendance and punctuality lay the ground work for a successful future in the work world. The following attendance policy and procedures have been established for ALL students of Willard High School and Willard Middle School. 1. Students must satisfy the attendance requirements as established by the State of Ohio and the Willard Board of Education. 2. State law requires that all students between the ages of 6 and 18 attend school. 3. At Willard High School and Willard Middle School, attendance is a priority and is the responsibility of parents and students. Students may enter the building at any time before school after 6:30am; however, they must remain in their designated area until the bell rings at 7:20 A.M. Classes begin at 7:25 A.M.
4. All absences are recorded as such regardless of the reason. 5. Excessive absenteeism, either excused or unexcused, cannot be tolerated. sufficient cause for absence from school. All other reasons for being absent from school will be considered unexcused and may result in the student’s receiving a failing grade in the daily classroom work. 9. Job seeking. Students involved in the “Work Study Program” are granted excused absences. *Situations which may endanger the safety and well-being of a student will be considered on an individual basis. Any student who is delayed by unexpected circumstances involving their transportation to school must have their parent/guardian contact the High School Principal’s office for consideration as an excused absence/tardy. *NOTE: The following policies are based upon a regular school day. Modifications will be made for delayed-start days. the student is expected to miss. 2. In case of daily illness absences, the parent is to call the school office (935-0181) before 9:00 am. Requests for missed assignments may be made after two consecutive days. notifying the parent of the absence. This is in compliance with the Ohio Missing Child Law. sign out at the designated time of departure. or unexcused in compliance with Ohio attendance laws can be made. 9. The discipline structure will be applied to students who do not comply with attendance procedures. Refer also to school policy regarding eligibility to attend co-curricular/extracurricular activities. school suspension, or other disciplinary actions. appropriate consequences if unexcused. Entry after 11:00 A.M. will be charged a full day absence. 1. Students are permitted 12 absences in the current school year before a doctor’s excuse is required. The 12 days may be accumulated through excused absences, unexcused absences, or a combination of both. Parents will receive written documentation through the mail when their child has accumulated six absences from school. 2. Students who accumulate three unexcused absences will meet with an administrator to discuss consequences if the attendance pattern continues. The administrator shall provide written school notification to the parent/guardian of the legal consequences of truancy and require the parent or guardian to compel the child to attend school. 3. A letter will be mailed when a student has acquired eight unexcused absences. This letter will notify students and parents about the absences and request a meeting to discuss pending action. If the attendance pattern is not reversed, a complaint against the parent or guardian will be filed in court under Ohio Law governing failure to send children to school. When a student acquires five consecutive unexcused days, seven unexcused days in a month, or 15 unexcused days for the year, a letter will be sent to the Juvenile court system requesting a hearing with the prosecutor. The student may also receive the following consequences for unexcused absences: Thursday detention, in school intervention, alternative school, out of school suspension or other disciplinary actions. 4. Unexcused absences that are a result of TRUANCY may receive additional consequences and a loss of credit. 5. In accordance with Board Policy and OR3321.13 (B) (2) a student over 18 years of age who is “habitually absent” may be withdrawn. 6. A student may make up work for credit if an absence from school is excused. The responsibility of obtaining assignments, receiving help, and turning in work missed due to absence belongs jointly to the teacher and student. Beginning with the day after a student returns from an excused absence, if a student has been absent one day, that student will be given one additional day to make up the work; work for two days of absence may be made up in two days. A student who has been unexcused may request assignments and additional help in order not to fall behind and may receive 55% of the earned grade. During first three days of an out of school suspension for the entire school year, the students may request assignments in order not to fall behind and may receive 55% of the earned grade; for any further out of school suspension students will receive 0%. 1. A student may be excused for a period not to exceed five school days to accompany parents on a trip. School work may be turned in prior to the student’s leaving or upon return to school. Students may turn in make up work on a day for a day basis. For example, if a student misses two school days, the student has two days upon their return to turn in assignments. Students will not be excused for this purpose unless they are accompanying their parents or have parent approval to accompany another adult under extremely unusual or emergency circumstances. Trips are not likely to be approved during the following times: first two weeks of school (excluding one day related to the Labor Day week-end), last two weeks of school, exam days, exam review days (two days prior to exams), large group testing days scheduled in advance on the school master calendar, and the last week of any grading period. Students who have not yet passed the Ohio Graduation Tests should not expect to receive approved trips during the testing weeks or during the two weeks prior to testing. Students should not expect to be approved for trips unless they are in acceptable academic and proficiency standing and have the approval of their teachers. Requests for trips must be submitted in writing at least 24 hours in advance of the trip. used as criteria for field trips. academic eligibility and must bring a written parental excuse to the office 24 hours in advance. b. Vacation Day –A student who is not a team member may be excused to attend contests in which our athletes are competing provided he is passing all subjects, has good attendance and good conduct, and has notified the office 24 hours in advance in writing. c. The student is responsible for all make up work after the field trip. d .Students may turn in work on a day for a day basis. For example, students who miss two school days have two days upon their return to turn in assignments. Ohio Graduation Test (OGT) and All State Required Assessments - Successful completion of the Ohio Graduation Test (OGT) test will be required for graduation for the class of 2017 and classes before. All other state required assessments will be given throughout the school year and will be required for the class of 2018 and beyond. FERPA REGULATIONS – Parents may contact the Guidance Office if they do not want directory information for their son/daughter released to military recruiter or other institutions. Grade Cards, Mid-Term, and Proficiency/Deficiency Reports - Grade cards are issued each nine-week period with mid-term reports being sent home at the midway point for every student. Proficiency/Deficiency Reports are sent out at the teachers’ discretion. Honor Roll, Merit Roll, and Honor Recognition - Students shall be identified by grade point ratio for academic honors. An average of nine week grades of 3.50 shall be used for the "Honor Roll" designation. An average of nine week grades of 3.00 to 3.49 shall be used for the "Merit Roll" designation. Those students receiving all “A’s” will receive letters of commendation from the school. Pupil Personnel Services - The objective of the Pupil Personnel services at Willard High School is to assist a student to make wise decisions regarding personal and academic issues that are facing him/her and to aid him/her in selecting and preparing for his/her life's work. Pupil Personnel services include individual conferences, vocational information services, ability and aptitude testing and college information services. Specific questions in regard to student requirements and course selections should be directed to the counselors. Some courses at Willard High School will have workbook or lab fees set by the Board of Education for materials used by the students. The Willard Board of Education provides all basic textbooks that are the type that can be reused. All Willard High School students will be charged a $6.00 annual activity fee for student handbooks, various field trips, and assemblies. All Middle School students will be charged a $5.00 annual activity fee for student handbooks. Accident and Illness - In case of illness a student should obtain a pass from his classroom teacher and report to the office immediately. All injuries to students should be reported to the main office immediately. Announcements - School announcements will be read in class or over the public address system during the school day. Announcements must be written and signed by a faculty member. All announcements should be written and turned in by 2:30 p.m. the previous day. Family Night and Sunday Policy - In accordance with policy, there are to be no school activities on Wednesday nights that last beyond 6:30 p.m. The only exceptions to this policy are tournament functions scheduled by the Ohio High School Athletic Association or those approved by the Board of Education. This policy is in effect all day on Sundays. Fire Drills - Fire drill exercises are carried out once a month to promote safe evacuation of the building. The signal for a fire drill is the sounding of the automatic fire bell. When this signal is heard, please file quickly out of the room according to the plan explained by your classroom teacher. Remain outside of the building until an all clear is given, then return directly to your classroom. Tornado Drills- Tornado drills will be conducted according to Ohio Revised Code. Procedures for drills will be presented by classroom teachers at the appropriate time. Library - Students may use the library before or after school and during Flashtime. Students are expected to remain in the library for the entire period unless other arrangements have been made. Insurance and Waiver Forms - Every year a supplemental accident insurance program is made available to all students and school personnel. Supplemental insurance is intended to insure a policy holder only if he/she has no other policy that will cover them. Enrollment in the insurance program will begin in August and is on a voluntary basis. All students participating in an interscholastic sports program must have school insurance or must have completed the waiver form if they are covered by their family policy. The school insurance or waiver form must be completed and returned to the Athletic Director before participating in any practice sessions. Locker Rooms, Lockers, and Locks - Students are encouraged to purchase locks for all lockers where valuables will be stored. All locks used on school lockers must be purchased from the school and will require a refundable deposit of $5.00. If the same lock is turned back in at the end of the school year, the deposit will be returned. Students are permitted to go to their hall lockers on their own time. This is not an excuse for being tardy. Everyone is to use the locker assigned to him/her. Lockers assigned to students are the property of the Willard Board of Education. Lockers and all contents within may be inspected and searched as needed or when reasonable cause is evident. (Locker searches see Policy 5771). Physical education lockers are to be used only for the period of physical education. All physical education supplies are to be kept in the student’s assigned locker at other times. The lockers in the P.E. locker rooms are used by all classes and personal items should not be left in the locker rooms. Lost and Found - A lost and found department is maintained in the office. The care of personal property is the responsibility of the individual student; however, if an item is lost or found, it should be reported to the office immediately. Messages - The office will deliver only emergency messages to students upon proper identification of the calling party. Emergencies are generally considered to be unpredictable circumstances which involve the health and safety of an individual. Office Telephone/Teachers Desk Telephone - The office phone is a business phone. Students will not be called to the phone during school time except in emergency. Students will not be excused from classes or study halls to use the office telephone unless they have permission from the office staff. Physical Education Classes - Students will receive a letter grade for physical education (A, B, C, D, F) based upon three criteria: (I) Participation/effort (II) Appropriate dress (III) Written work including any class work, quizzes, or tests. Regular attendance is essential for earning a passing grade. Students are encouraged to get involved in all class activities. Refusal to participate, or refusal to wear appropriate clothing may result in the loss of credit could include additional consequences. Posters/Signs/Publications - Signs and printed items that are to be posted or distributed in the halls must be approved by the Principal. Sales and Solicitations - No person shall sell or offer for sale within the school building or on school property any articles or services or solicit contributions except those approved by the Principal. Search and Seizure - Search of a student and his/her possessions, including vehicles, may be conducted any time the student is under the jurisdiction of the Board of Education, if there is a reasonable suspicion that the student is in violation of law or school rules. A search may also be conducted to protect the safety of others. All searches may be conducted with or without a student’s consent. Students are provided lockers, desks and other equipment in which to store materials. It should be clearly understood that all lockers are the property of the school and may be searched at any time. A reasonable suspicion of the need for a search is all that is necessary. Locks are to prevent theft, not to prevent searches. Anything that is found in the course of a search that may be evidence of a violation of school rules or of the law may be taken and held or turned over to the police. The school reserves the right not to return items that have been confiscated. The Board of Education has authorized the use of specially trained dogs by law enforcement agencies or by organizations certified in canine detection to detect the presence of any drugs or devices such as bombs or other explosives on school property. Administrators are also authorized to arrange for the use of a breath test instrument to determine if a student has consumed alcohol. Students should also be aware that the Board of Education retains the right to place video and/or audio taping equipment in certain strategic locations, both inside and outside the building, throughout the school district. The content of these tapes shall only be used by authorized personnel and in compliance with Policy 8330: Student Records. Further, the tapes shall not be kept for more than a period of one year and use of the tapes or any resulting disciplinary action shall be in compliance with approved suspension or expulsion procedures. The Board of Education also authorizes the use of metal detectors for electronic searches of students and visitors in the building, on school property, and at all school-sponsored events. Food/Beverages - Open containers and food wrappers are not permitted in the building during instructional time. If the seal on a container or package is broken, it is considered open. Students are not permitted to store open food items in their lockers. Food is not permitted in classrooms without teacher permission. The Office - Located in the main office are the building administrator’s offices. The guidance counselors are located in the Pupil Personnel offices. The Athletic Director’s office is located in the cafeteria area. Students are encouraged to come to the office when they need information, help, or assistance; however, because of the number of people who need to use the office, students should not loiter or visit in this area. Visitors - Willard High/Middle School welcomes adult visitors but asks that all visitors register in the main office immediately upon their arrival at school. We discourage student visitors as we feel it does affect the educational atmosphere. Any official student visits must be arranged in advance. A. Be between 14 and 18 years of age. B. Have a promise of a job. C. Complete all necessary forms and information through on-line services in the Pupil Personnel Office. D. Completed registration must be signed by the district Superintendent. E. Pick up and sign your work permit. Allow one week for processing the work permit. Statement of Student Responsibilities - Willard has always been proud of its high/middle school and of Willard City School students. One reason for this pride has been the high standard of student conduct and good citizenship demonstrated by the students. It is to the benefit of the school and all its members to maintain this proud tradition. The following guidelines and items of information are offered in order to make students aware of the standard of behavior that they are expected to meet. These guidelines are a summary of the policies for Willard High School and Willard Middle School. Meeting Obligations - Successful completion of any course includes returning all books, locks, materials, etc, that were issued to the student for his/her use while he/she is enrolled in the course. Failure to return such items or to make restitution for lost items, or failure to pay required costs for materials used in any course, could result in no credit being given for completion of that course. In addition, no student will receive equipment to participate in co-curricular activities who has failed to meet the obligations outlined above. Fees must be paid during the first two weeks of school. Any extension of time must be granted by the administration or the student could be withdrawn from the class with the loss of credit. For the purposes of this directive, “personal electronic device” means any device that a student is in possession of which electronically communicates, sends, receives, stores, reproduces or displays voice and/or text communication or data. These include, but are not limited to: mobile phones, pagers, smart phones, music and media players, gaming devices, tablets, laptop computers, smart watches, Google Glass or other similar devices. Students may possess and use personal electronic devices (PEDs) on school property at Willard High School, during after school activities and school-related functions as long as PEDs are used appropriately, protecting students’ right to privacy, and do not create distraction, disruption, or otherwise interfere with the educational environment. Locations where PEDs are not permitted are restrooms, locker rooms, offices, and any other locations outlined by school personnel. Teachers and administrators have the right to limit or prohibit the use of electronic devices during the school day, especially during instructional time. from using PEDs to receive such information. 1. Electronic devices are devices that include, but are not limited to, recording devices, radios, pagers, laser pointers and other electronic devices distracting to the educational environment. As such, these devices are not permitted in any area of Willard High School, including the courtyards/green spaces. a. Use of any electronic device in a classroom or other area of Willard High School not authorized by school personnel. b. Violation of the Willard City Schools’ Acceptable Use Policy. c. Listening to video or audio without headphones or earbuds without permission. d. Use of headphones/earbuds at a volume level where others can hear. 1. Non-disruptive devices are defined as electronic devices primarily used for educational purposes. 2. The categories of non-disrupted devices are, but are not limited to, (a) laptops, (b) netbooks, (c) tablets, (d) eReaders, and (e) audio players (MP3 players). a. during classroom instruction and in the Media Center as permitted and directed by school personnel. b. in study hall, privilege period, and lunch as permitted and directed by school personnel. 1. Use of mobile phones for any voice or text communication is not permitted during instructional time without the permission of school personnel. 2. Mobile phones may be used as directed by school personnel. Otherwise, mobile phones must be turned off or muted during school hours. 3. Mobile phones may possess advanced functions including Internet access, eReader, and video/audio functions. These functions may be used before school, after school, during lunch or between classes. Use of these functions during classroom instruction is at the discretion of school personnel. Possession of a PED by a student at school during school hours and/or during extra-curricular activities is a privilege that may be forfeited by any other student who fails to abide by the terms of this policy, or otherwise abuses this privilege. Violation of the appropriate use of electronic devices, as described above, (1) may result in detentions, Saturday School, In School Suspension, Out of School Suspension or Expulsion; and (2) student may be required to turn the device over to school personnel and the student and/or parent/guardian may pick up the device from the office. Wireless Internet connection will be provided by the Willard City Schools for students to connect their devices to the Internet. Students must have a completed Acceptable Use Policy signed and on file at Willard High/Middle School. Additionally, students may connect to the Internet using their Internet provider. In this case, the student and family will be responsible for any Internet connection expense and are still bound by the Willard City Schools Acceptable Use Policy and the terms thereof. Willard High/Middle School assumes no responsibility for theft, loss, or damage of an electronic device brought to school. Students bring these devices to Willard High School at their own risk. Use of bags and cases to transport electronic devices to and from Willard High School is encouraged. Students may use laptop bags to carry portable computers to and from class. a. Pushing or moving up in line is not permitted. You may not hold a place in line for another student. b. Clean up your place at the table after you finish eating. c. Excessively loud talking and disruptive conduct are not permitted. d. There are to be no containers of pop in the lunch room during lunch periods. f. No food is to be delivered to students at school from commercial restaurants. g. No students are to leave this area unless they have business to conduct at the office or guidance area. The parking lot is off limits. i. Students should not play “cards” or other games of chance during lunch. *NOTE: Please contact the Food Service Director regarding eligibility for free or reduced lunches. Skateboards - There is to be no riding of skateboards on high school grounds. Students are not to bring skateboards or footwear with wheels to school or to school events. School Sponsored Trips - Students on school sponsored trips are representing Willard City Schools; therefore, all rules and regulations must be adhered to. On all school sponsored trips students must travel on school provided transportation. For all field trips, athletic events, or other school functions that cause students to be excused from classes, it is the student’s responsibility to make-up class work prior to leaving to the teacher’s satisfaction, or one day for a day upon returning makeup work. Before and After School Policies - Any student arriving prior to 7:20 a.m. may enter the school and remain in the designated spot until the bell rings at 7:20 a.m..
High School Students at Middle School - High school students are not permitted in the Middle School wing or the immediate area of the Middle School wing before, during, or after school hours unless they have the approval of the high school administration. Withdrawal from School - When a student finds that he/she will be withdrawing from Willard High/Middle School, they must report to the pupil personnel office to make final arrangements. The student will be given a withdrawal form which they will submit to each teacher, librarian and Pupil Personnel department signifying that all books have been returned and all obligations taken care of. The student must then return the withdrawal form to the Pupil Personnel office. 3. Any student who is suspended or expelled for possession or use of drugs as defined in the board policy. Willard City Schools participates in the Medicaid School Program (MSP). MSP is a federally funded reimbursement program. Our district uses a third party billing agency to submit MSP claims. The Agency HPC, is in compliance with all federal privacy laws including the Health Insurance Portability Accountability Act (HIPAA) established in 1996. The following is shared with HPC: Student’s name, date of birth, social security number, district of residence, school of attendance, and professional services documentation Professional services include psychological evaluations and screenings and assessments to determine eligibility for services such as speech, occupational therapy, physical therapy, nursing, counseling, work study and case management. Professional services also include the provision of these services if eligible. Hundreds of users share the computing facilities at Willard City Schools. To protect the integrity of the networks and work stations, authorized users are expected to exercise responsible, ethical behavior when using the technology resources at Willard High/Middle School. Each user must abide by the technology policy and Internet guidelines. School officials reserve the right to read, examine, delete, or purge any Internet material deemed inappropriate by the administration or in violation of the acceptable use policy. A. The term USER applies to all students and staff who use technology resources available at Willard City School. B. All users will demonstrate respect for all the hardware and software. All users will respect the rights of other users. C. Only authorized users are permitted access to the hardware and/or software. D. Only legal copies of registered software will be used on the networks and local stations. Unauthorized copies will be removed without notice to the user. E. Only those disks distributed by WHS/WMS will be used by students and staff. No software is to be brought from home or downloaded for another network or computer system. F. WHS/WMS reserves the rights to take whatever measures are necessary to protect the network and its users. G. Modification of administrative software and/or system control information by anyone other than authorized personnel will warrant disciplinary action. Deliberate alteration of system files or someone’s personal files is considered vandalism or malicious destruction of school property. H. Unethical or disturbing behavior as well as use of terminals for obscene or nuisance messages or other written material will warrant disciplinary action. I. Passwords are the property of the user and are not to be shared, distributed or used by anyone other than the owner. 1. Copying software in violation of copyright laws. 2. Transmitting, viewing, or using profane, obscene, sexually explicit material, or other material deemed inappropriate. 3. Destruction of or tampering with another’s property including electronic property. 4. Threatening or harassing others through electronic media. 5. Attempting to bypass or bypassing security measures that are set up to safeguard information and protect files. 6. Tampering with files that are specifically restricted. 1. Loss of computer privileges. 2. Conventional discipline per the code of conduct. 1. The school district cannot guarantee that the function or services provided by the school computer network will be error free or without defect. 2. The school district cannot guarantee the confidentiality of e-mail sent or received over the school network. 3. The school district cannot safeguard the accuracy or quality of information obtained through or stored on the school network. 4. The school district is not responsible for damages due to interruptions of service or loss of data. Each year the District will provide public notice to students and their parents of its intent to make available, upon request, certain information known as “directory information”. The Board designates as student “directory information”: a student’s name; address; date and place of birth; major field of study; participation in officially recognized activities and sports; height and weight, if a member of an athletic team; dates of attendance; date of graduation; and/or awards received. Before a student is suspended, expelled or permanently excluded from school, there are specific procedures that must be followed. As long as the in-school discipline is served entirely in the school setting, it will not require any notice or meeting, or be subject to appeal. When a student is being considered for a suspension, the administrator in charge will notify the student of the basis for the proposed suspension. The student will be given an opportunity to explain his/her view of the underlying facts. After that informal hearing, the Principal or administrator in charge will determine whether or not to suspend the student. If the decision is made to suspend the student, he/she and his/her parents will be given written notification of the suspension within one (1) day setting forth the reason for the suspension, the length of the suspension, and the process for appeal. The suspension may be appealed after receipt of the suspension notice. The request for an appeal must be in writing. reasons for the expulsion and/or explain the student’s action, and notification of the time and place to appear. Students being considered for expulsion may be removed immediately. A hearing will be scheduled no earlier than three (3), nor no later than five (5) school days after the notice is given. Parents may request an extension of time for the hearing. The student may be represented by his/her parents, legal counsel, and/or by a person of his/her choice at the hearing. In accordance with Board Policy 5610, the Superintendent shall initiate expulsion proceedings against a student who has committed an act that warrants expulsion under Board policy even if the student withdraws from the school prior to the hearing or decision to impose the expulsion. The expulsion will be imposed for the same duration that it would have been had the student remained enrolled. If a student is expelled, the student and the student’s parents will be provided with written notice within one (1) school day of the imposed expulsion. The notice will include the reasons for the expulsion, the right of the student, or the student’s parents(s)/guardians(s) or custodians(s) to appeal the expulsion to the Board or its designee, the right to be represented in all appeal proceedings, the right to be granted a hearing before the Board or its designee, and the right to request that the hearing be held in executive session. If a student’s presence poses a continuing danger to persons or property, or an ongoing threat of disrupting the academic process taking place either in a classroom or elsewhere on the school premises, the Superintendent, principal, assistant principal, or athletic director or designee may remove the student from any curricular or extracurricular activity or from the school premises. A teacher may remove the student from any curricular or extracurricular activity under the teacher’s supervision, but not from the premises. It is important to remember that School rules apply going to and from school, at school, on school property, at school sponsored events, and on school transportation. In some cases, a student can be suspended from school transportation for infractions of school bus rules. Ultimately, it is the Administration’s responsibility to keep things orderly. In all cases, the school shall attempt to make discipline prompt and equitable and to have the punishment match the severity of the incident. · Detention – lunch time or after school or A.M. The administration and teachers may detain a student before or after school by giving the student and his/her parents one day’s notice. The student or his/her parents are responsible for transportation. If transportation creates a conflict, please call the school. Failure to serve an assigned detention will result in further disciplinary action being taken. 1. Thursday Detention is held from 2:30 P.M. to 4:30 P.M. Late arrivals may not be allowed to serve their detention and will be reported to the building administrator. 2. Students must come prepared with enough school work to keep busy for the entire two hour detention. Not having enough homework, being uncooperative, causing a disturbance, talking, sleeping, listening to music, eating, drinking, or looking at magazines or books that are not subscribed to by our school or are not approved by the monitor will not be permitted. Non-compliance will result in one or more of the following: student sent home, additional detentions or suspensions. 3. Any Thursday detention not completed prior to the last day of school for the school year may result in summer detention days. A student may be removed or excluded from a class or school if she/he pose a continuing danger to persons or property or represent an on-going threat of disrupting the educational process. Such removal can be for up to seventy-two hours. For serious violations of the disciplinary code or disruptive behavior (except those requiring expulsion by law), a student may be assigned to alternative school for a period of not less than three days and not more than 180 days. Failure to comply with instructions or misbehavior may result in additional days in Alternative School for disciplinary action. 2. No headgear/head wear or sunglasses can be worn inside during school hours. 3. No heavy metal chains, spikes, dog collars, or other hardware apparel. 4. Unnatural hair color that is extreme, length or style that constitutes a safety hazard is prohibited. 5. Excessive or offensive tattooing that is not covered by clothes is prohibited. 6. Undergarments, excluding t-shirts, shall not be exposed and see-through clothing is not permitted. 8. All clothing shall not be excessively tight or loose. 9. Clothing shall not have slits, cuts, tears, or frays. 10. Clothing must be solid colors only and no price tags are permitted on clothing. 11. Logos ARE permitted on clothing as long as they are smaller than a standard post- it note. Fabric: cotton, cotton blend, wool, twill, or corduroy. No jeans, denim, sweat pants, wind pants, or yoga pants. Length: Can not drag on floor. Pants must be worn at the waist. Fabric: cotton, cotton blend, wool, twill, or corduroy. No jeans, denim, sweat pant, wind pant, or leggings. Length: Short or long sleeved polo. Short or long sleeved oxfords. Must have collars. Tshirts: Tshirts are permitted to be worn under approved polos or oxford shirts only. No slippers, no heelies, no cleats. Belts: Optional. Belts, if worn, must be appropriate for school. School spirit days/dress down day will be available on approved days when approved by the administration. request. Failure to do so will result in disciplinary action. Willard High/Middle School recognizes that bullying and intimidation have a negative effect on school climate. Students who are intimidated and fearful cannot give their education the single-minded attention they need for success. Bullying can also lead to more serous violence. Every student has the right to an education and to be safe in and around school. verbal, psychological or a combination of all three. A. Physical - hitting, kicking, spitting, pushing, pulling, taking and/or damaging personal belongings or extorting money, blocking or impeding student movement, unwelcome physical contact. C. Psychological - spreading rumors, manipulating social relationships, coercion or engaging in social exclusion/shunning, extortion or intimidation. D. Cyber bullying - any form of harassment by any electronic means or social media network. 2. Bullying is prohibited: Willard High/Middle School staff shall not tolerate any bullying on district grounds or at any school activity on or off campus, including school transportation. 3. Staff intervention: The district expects staff members who observe or become aware of an act of bullying to take immediate, appropriate steps to intervene – unless intervention would be a threat to staff members’ safety. If a staff member believes that his/her intervention has not resolved the matter or if the bullying persists, he/she shall report the bullying to the school administration for further investigation. 4. Students and parents shall report bullying: The district expects students and parents who become aware of an act of bullying to report it to the school principal for further investigation. Any student who retaliates against another for reporting bullying may be subject to the consequences listed below. 5. Consequences/intervention: Consequences for students who bully others shall depend on the results of the investigation and may include counseling; a parent conference; detention; Saturday school; suspension and/or recommendation for expulsion. Depending on the severity of the incident the principal may also take appropriate steps to ensure student safety. detention, Thursday detention, In-School Intervention or suspension of up to ten (10) days and/or expulsion. 1. Disruption or Interference with Curricular/Co-curricular Activities. any other manner cause material disruption or interference with curricular or co-curricular activities. A student shall not damage, attempt to damage, steal, or attempt to steal any school property. School property includes but is not limited to buildings, school grounds, busses, supplies and equipment. A student shall not damage, attempt to damage, steal, or attempt to steal private property of any school district employee, student, or school organization. school-related activity, home or away. A student shall not possess, handle, transmit, or conceal any object that could potentially bring harm to others on school premises or while attending school events away from the school grounds. A student shall not use or posses any item that may cause fire: including, but not limited to, lighters, matches, firecrackers, or flammable liquids, gases or solids. proper use of prescription drugs under a doctor’s orders. of inappropriate pictures, gestures, written documents, or electronic media. period of time when the student is under the authority of school personnel. Student smoking and possession of any form of tobacco or e-cigarettes is prohibited in school, on school grounds, at all school sponsored functions including both home and away activities. Students are not to smoke in the immediate area around the school grounds. belonging to the school or to a school district employee. engage in an improper display of affection with another student. conduct rule may be treated as a major violation of this code and may result in suspension or expulsion. of authorized school district personnel. a. Students will not cheat on assignments, tests, quizzes, class projects, or other academic material. each day and to participate as directed by the teacher. harassment will receive appropriate consequences. causes or creates risk of mental or physical harm, no matter how willing the participant may be. a. A student shall not use profane language or rude behavior. b. A student shall not engage in excessive displays of affection. c. A student shall not be repeatedly tardy without written excuse. d. A student shall not engage in any form of gambling or card playing. e. A student shall not use any but his/her assigned locker. f. A student shall not forge any signature for any reason. g. A student shall not park his/her car in any unauthorized area. h. A student shall not lie to an administrator, teacher or any other staff member. property during regular classroom hours. k. A student shall refrain from any personal grooming during class. m. A student shall wait his/her turn in the lunch line. n. A student shall not carry food or drink out of the lunchroom without official permission. o. A student shall not litter. selling, and possessing counterfeit drugs and related tools. legal rights to manufacture, process, pack or distribute. or is a different substance. labeling, packaging, distribution, or the price for which it is sold or offered for sale. offense a felony of the fourth degree. the second degree for subsequent offenses. of the their degree, and a felony of the second degree for subsequent offenses. l. Any unauthorized medication on school ground or at school events is prohibited. 3. All prescription medications will be stored in the office and dispensed at the office during the school day. case basis by the Superintendent using the guideline(s) set forth in Board Policy 5610.
but that can be readily operated. that it is a firearm or knowingly displaying or brandishing the object and indicating it is a firearm. Making a bomb threat (i.e., intentionally giving a false alarm of a bomb) against a school building or any premises at which a school activity is being held at the time the threat is made may result in expulsion for a period of up to one (1) school year. Additionally, intentionally giving a false alarm of a fire, or tampering or interfering with any fire alarm is prohibited. It should be remembered that false emergency alarms or reports endangers the safety forces that are responding to the alarm/report, the citizens of the community, and the persons in the building. While it may seem like a prank, is a dangerous stunt that is against the law and will subject the student to disciplinary action. Threatening, directly or indirectly to commit a crime of violence with the purpose of terrorizing another or with reckless disregard to the risk of causing terror in another. In accordance with Federal Law, the Board of Education prohibits the use, possession, concealment, or distribution of drugs by student son school grounds, in school or school-approved vehicles, or at any school-related event. Drugs include any alcoholic beverage, anabolic steroid, dangerous controlled substance as defined by State statute, or substance that could be considered a “look-a-like” controlled substance. Compliance with this policy is mandatory for all students. Any student who violates this policy will be subject to disciplinary action, in accordance with due process and as specified in the student handbooks, up to and including expulsion from school. When required by State law, the District will also notify law enforcement officials. The District is concerned about any student who is a victim of alcohol or drug abuse and will facilitate the process by which he/she receives help through programs and services available in the community. Students and their parents should contact the school principal or counseling office whenever such help is needed. NOTE: The administration reserves the authority to use appropriate discretion (based on Ohio Revised Code and Board Policy) in determining consequences for any misconduct not specifically listed within these pages. Student Activities - It is a known fact that co-curricular activities are vital to a well rounded education in addition to the academic areas. We feel it to be most important for each student to become active in one or more of the following clubs, organizations and activities. For membership procedures, contact the advisor or the administration. Eligibility requirement set forth by the Board of Education apply to participation in athletic and non-athletic activities..
Student Council - The Student Council consists of a maximum of thirty-six members that will be chosen by the student body in a general election. The high school and middle school student council will remain separate. Any student may petition to run for Student Council or class office. The purpose of the Student Council is to establish a united, central advisory body to direct student activities, to provide training and instruction in the principles and practice of representative government and to foster friendly relations between teachers and students. Class Officers – High School Class officers shall consist of a President, Vice President, Secretary and Treasurer. The Senior Class will also have the office of Social Chairman. Any student may petition to run for a class office (or) student council. Class officers will be elected at the beginning of the new school year. Band - Members of each of the four grades will compose the high school band. Summer rehearsals will be required. Enrollment in band will be determined by the director at the beginning of the school year, except for students transferring who will try out at the time of enrollment. Students must register for band in the same manner and time that other courses are selected. Middle School band will consist of two grades and will be scheduled during the school day. Symphonic Orchestra - Symphonic Orchestra is composed of students in the four grades of the high school. All string students are expected to belong to the organization providing they can meet the required ability level of performance, which will be determined after audition at the beginning of the school year. Woodwind, brass and percussion members are selected students from the high school band. Five weeks of summer rehearsals are required. Students must register for orchestra in the same manner and time that other courses are selected. Middle School orchestra will consist of two grades and will be scheduled during the school day. Symphonic Choir/Choral Department - The Symphonic Choir and show choir are a select choir, open to students in grades 9 - 12. One must try out for the choir director and meet certain standards to become a member of either organization. Concert Choir and Ladies Chorale are open to students in grades 9-12 and do not require an audition. Students must register for the choirs in the same manner and time that other courses are selected. Choral opportunities will be available to middle school students also during the regular school day. Theatre - In theatre students are involved in all aspects of the production of plays including set building, costuming, acting, singing and dancing. After auditions are held to choose a cast, rehearsals and work sessions are held after school for 8-10 weeks. Family, Career & Community Leaders of America (FCCLA) - “Towards New Horizons” is the national goal of FCCLA. To promote a growing appreciation of the change of roles in homemaking is the purpose of this organization. Membership is open to students who are enrolled or have taken a senior high home economics course. Meetings will be held monthly. Future Farmers of America (FFA) - This organization provides an opportunity to train the student as a farmer and a farm citizen. Meetings will be held twice a month during the school year and once each month during the summer. Key Club – The Willard High School Key Club is devoted to service. Meetings are held during the school day. 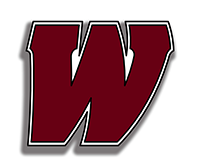 Others - Additional student organizations at WHS/WMS include Academic Challenge and Art Club. Cheerleaders - Cheerleaders for the following year are chosen after attending clinics and a tryout in the spring of the year. Promoting school spirit both at pep rallies and at games is the primary goal of the cheerleading squads. Cheerleaders are selected mainly for football and boys basketball. Any additional work is at the discretion of the advisor. Yearbook - Our yearbook is published by members of the “publications” staff. The yearbook contains pictures of all phases of school activities. The yearbook delivery date is delayed until early fall each year because of spring pictures which are important in making a yearbook complete. All school publications are subject to the editorial control of school authorities. The production and/or distribution of any unauthorized publications are prohibited. Assemblies -The assembly schedule at Willard High School/Middle School is developed with the idea that some of our assemblies should offer an opportunity for self expression and to promote school spirit while other assemblies include motivational speakers and educational programs. It is expected that high school students will demonstrate courtesy and appropriate behavior at all assemblies. Club Activity Calendar - All club activities must be approved by the Principal and are to be posted on the monthly school calendar by the administration, through the advisor. Dance Policies - The dances at Willard High School are for Willard High School students and their dates. Once a student enters the dance, he/she may not leave the building. If he or she does, they are not to return to the dance. An organization wishing to sponsor a dance must schedule such dances through their sponsor and administration. All contracts must be approved and signed by the advisor and administration. No dances will be permitted on an evening prior to a school day. Dances must be over by eleven o’clock, unless otherwise approved. Adequate chaperones will be required in advance of the dance. Dress for the prom shall be semi-formal to formal. Invited guests who are not WHS students must complete a Guest Registration Form. Middle School dances are for them alone. NO other students will be admitted. Students attending will not be permitted to leave before the dance is scheduled to end, unless they bring a note from their parents that is to be given to the principal upon arriving. Attendance at dances is a privilege that students may be denied for disciplinary or attendance reasons. ATHLETIC CODE: Willard Middle School provides athletic opportunities for both boys and girls in grades 7 and 8. We encourage students to participate in them as much as possible. The following regulations are part of the Willard Middle School Code of Conduct for athletes and other members of sports teams. 1. Sports team members are governed by the school Code of Conduct at all times. 2. The use of tobacco, drugs and/or alcohol is not allowed. 3. All sports team members must abide by community laws, state laws, and the Ohio High School Athletic Association rules and regulations. 4. All team members must meet the grade eligibility requirements. 5. All equipment issued to a team member by the coach for a specific sport is to be returned at the end of the season. The team member is responsible for all equipment issued to him/her and must pay for all equipment that is not returned. 6. Equipment will not be issued to a student for any sport unless he/she has returned or paid for all equipment issued from a previous season. the participation fee at this time. Athletic managers, statisticians and other student support personnel are not subject to the additional fee. Band is considered a curricular subject and students will not be charged the additional fee, as per the Ohio Revised Code. It is the responsibility of the building principal and the athletic director to collect these fees. ACADEMIC ELIGIBILITY (over and above OHSAA guidelines): Willard City Schools has in effect a “No Pass-No Play” Policy and a minimum GPA of 1.3. Any student earning an “F” in any subject is ineligible for athletic competition for the next grading period. (The calculation is based on the preceding nine weeks’ grades, and is effective on the fifth (5th) school day of the grading period.) In addition, accumulative grades for the present grading period are checked on a weekly basis. Any student-athlete receiving a failing grade will be assigned to mandatory study table until said grade(s) is raised to a passing level under each coach’s supervision. In lieu of study table, a student-athlete may schedule and attend two weekly conferences with the instructor of the class in question. An unexcused absence from a study table or conference will result in ineligibility for the next athletic contest. Tardiness, lack of study or study materials will be dealt with on an individual basis and may result in loss of eligibility. REINSTATEMENT OF ELIGIBILITY may be granted to a student-athlete if the following conditions are met in a satisfactory manner. 1. The student meets the standards of eligibility established by the Ohio High School Athletic Association. 3. The student athlete is passing all classes at the midterm and continues to pass all classes during the weekly eligibility check administered by the athletic department and the minimum level of a 1.3 grade point average standard is met. 4. The student and his/her parent or guardian agrees to the above terms and are made aware that failure to meet the standards established will result in the denial of participation for the remainder of the grading period and until passing grades are received in all classes and the minimum 1.3 grade point average requirement is met. conditions of the contract are not met, the student will remain ineligible. There is the possibility of reinstatement due to loss of eligibility when there is only ONE failing grade in any subject. Any consideration of this policy will be per the Board adopted procedures. examination card with student, parent, and physician’s signature to Director of Athletics. 3. A copy of the Emergency Medical Notification Form to the activity advisor or coach. participate in any Saturday activity. Exceptions to this rule for good and sufficient reasons must be approved by the Building Administration. from a previous season which may have been misplaced, lost or stolen. presented to the activity advisor.